C384 Iris Flower Vase 13x6.5 in. C385 Phlox Flower Vase 10x4.5 in. C386 Floral Flower Vase 7x3.5 in. 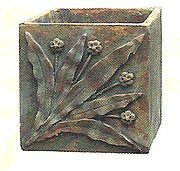 C401 Woven Slab Pot (med) 8.5x6 in. 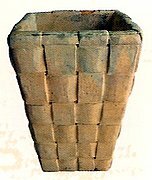 C402 Woven Slab Pot lrg 14x9 in. C910 Cricket box 7x7 in. C911 Small Poppy box 8x8 in. 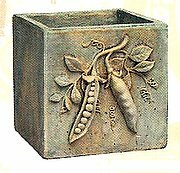 C912 Peas in a Pod box 7x7 in. 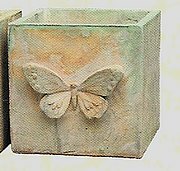 C913 Butterfly box 7x7 in. C914 Strawflower box 8x8 in. 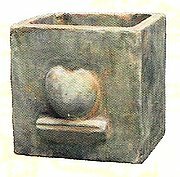 C915 Apple on Shelf box 8x8 in. 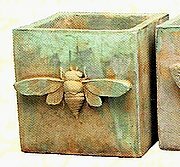 C916 Bumblebee box 7x7 in. 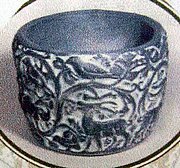 P12 Log pot with Owls – 5.5 in. 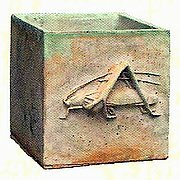 P16 Mushroom Planter 5.5 x 9 in. 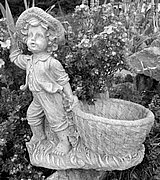 Y118 Cherub Urn Planter14.5x8w in. 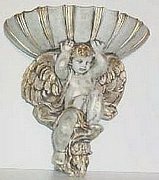 WP28 Two Cherub planter 9x17in. HD81 Lady Pocket 9x11.5x5.5 in. 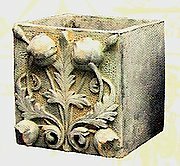 Y183 Rustic Vine Pot 7H x 6.5 dia. 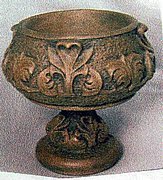 C330 Potpourri Urn 4.5 in. 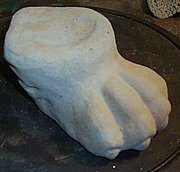 HD40 Lion Paw Pot Foot 3 x 6 in.